V.I.P.A Police Defence Tactics is not intended and should never be seen as a substitute for official police defence procedures. The Defensive Tactics Course is designed to give law enforcement personnel (Police Officers, Special Constables, Community Support Officers) the chance to train with fellow professionals in defensive techniques inbetween official training courses. With ever increasing levels of violence against the police in the UK (see UK stats below) these courses help maintain individual skills to a standard required for frontline policing. 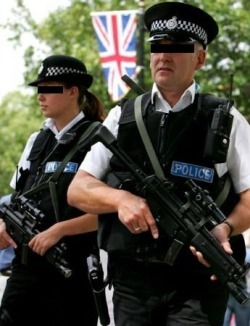 There were 11,392 reported assaults on police officers in 2007. These courses are only open to law enforcement personnel. This one day course gives you 8 hours police defence tactics training. Your existing skills and skills learned on this course will be pressure tested in real street encounter "stress evaluations". The course mixes both practical and theory to help equip officers both physically and mentally for potentially violent street encounters. With weapons know being carried and used at an alarming rate by criminals, disarming an armed aggressor is a requirement for every police officer. Edged weapons, blunt trauma weapons and firearms all pose individual problems which require effective responses to ensure an officers survival. Retaining your own weapons, be they batons, sprays or firearms are essential skills all officers need to know. The last thing you want is for your own weapon to be used against you.